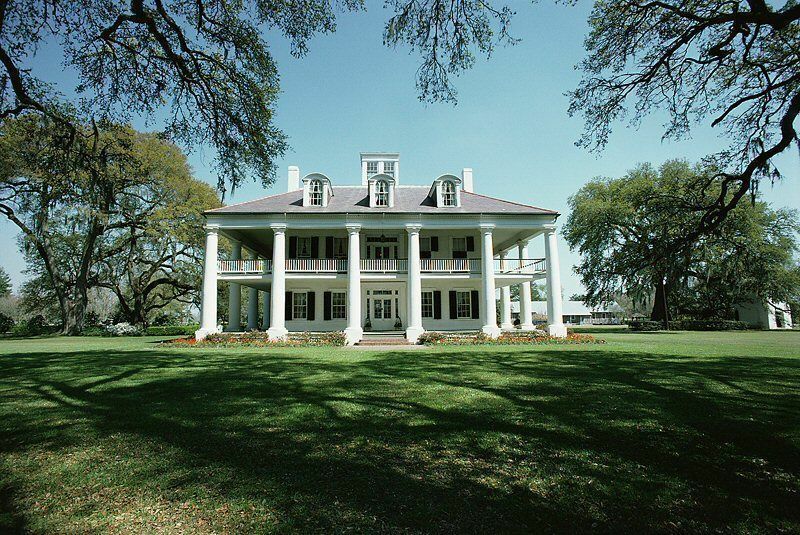 There are beautiful historic homes in the Garden District and along the riverfront. 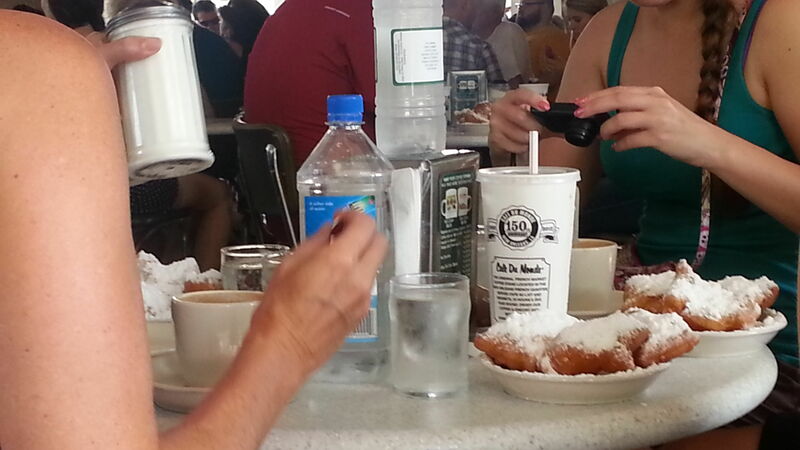 Enjoying beignets at Cafe du Monde in the French Quarter. 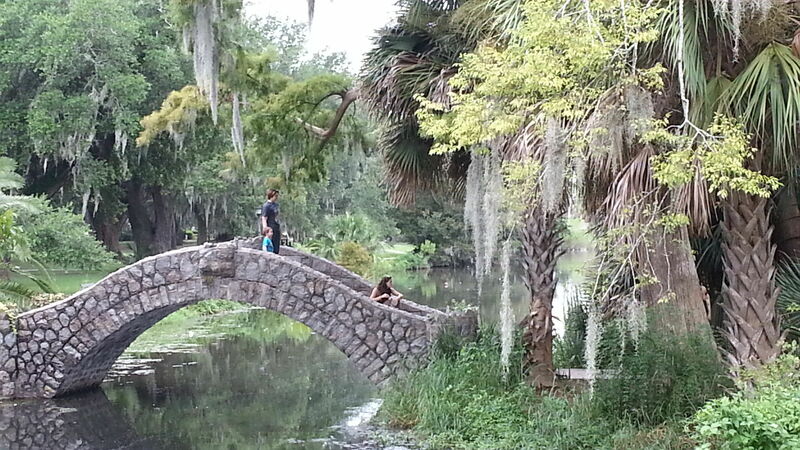 City Park has lush botanical gardens and a wonderful sculpture garden kids will enjoy.. 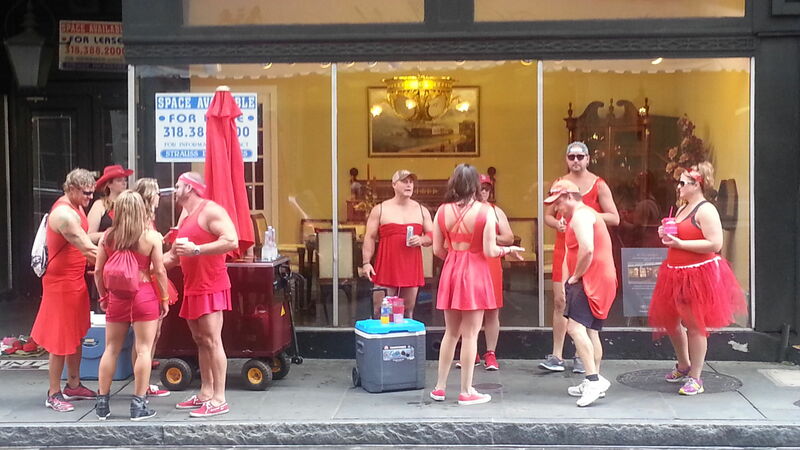 The annual Red Dress Run Charity Race is one of more than 500 New Orleans' festivals each year. 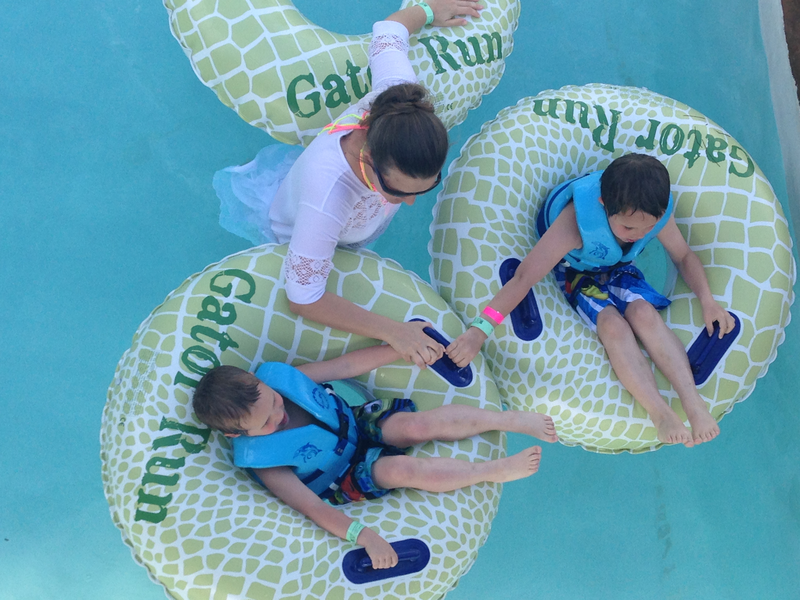 Audubon Zoo's new Gator Run is a fun lazy river and splash park in a wonderful zoo. 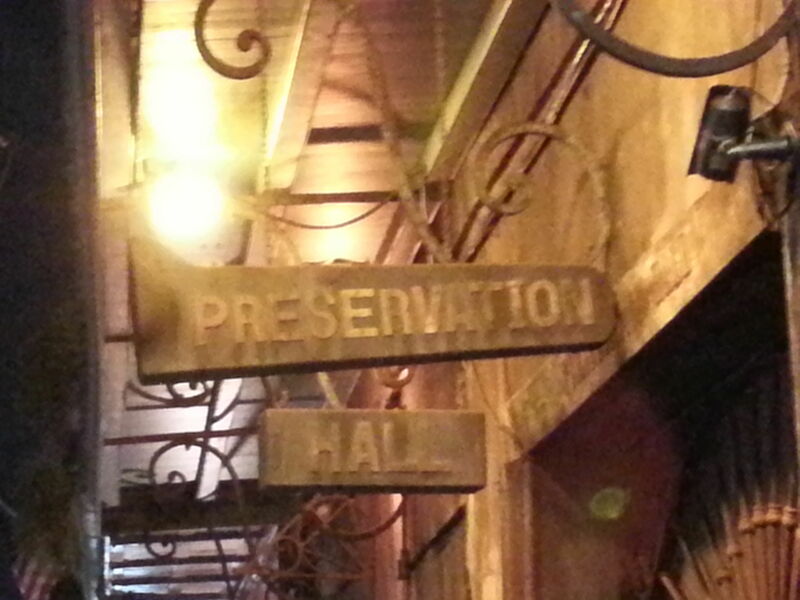 New Orleans jazz can be heard nightly (kids welcome) at Preservation Hall in the French Quarter. 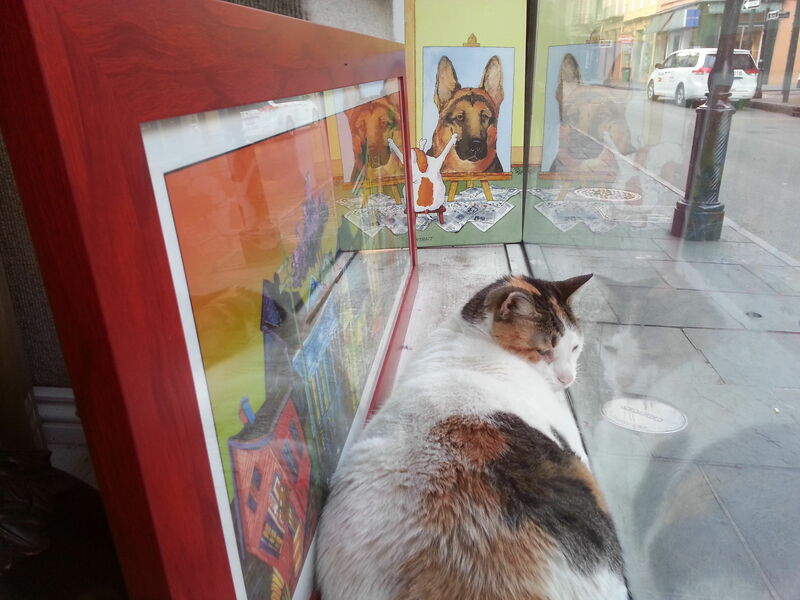 The back streets of New Orleans are filled with small art galleries. 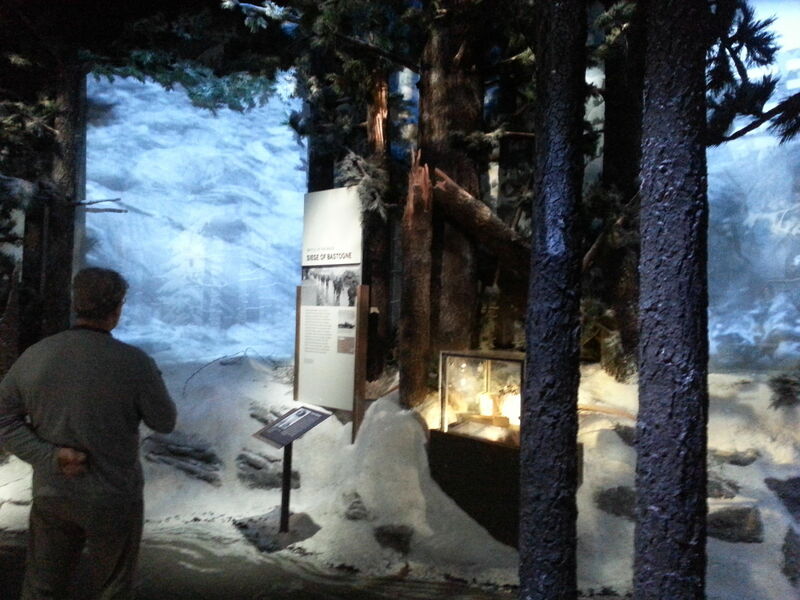 Slogging through the harsh winter of the Allies' push north on the Road to Berlin, at the WWII Museum. Dubbed “The Big Easy” and “The Most Interesting City in America” depending on your viewpoint, New Orleans, Louisiana will not disappoint anyone on your next family vacation. This charming Southern belle boasts a culture that is unique, music that is truly inspiring, cuisine to die for, entertainment that is wild, and a dark history that will intrigue. Known for Mardi Gras parties, its vibrant multi-ethnic culture, jazz and other musial genres, New Orleans, straddling the mouth of the Mississippi River, can be as tame or as wild as your taste prefers, and is a must-see American city. For more information on family-friendly attractions in NOLA, visit New Orleans Convention & Visitors Bureau or New Orleans Online. Here’s FTF’s review of New Orleans’ top kid-welcoming hotels. The Audubon Aquarium of the Americas downtown is hailed as one of the top aquariums in America. See the 30-foot-long Caribbean reef tunnel and then say hello to some of the many animals who’ve been rescued by the zoo. You can also meet stingrays and sea turtles like King Mydas, a huge green sea turtle, who lives in the Gulf of Mexico tank. Here, kids can watch sharks swim around a submerged oil rig which supports marinelife. The penguin exhibit and IMAX Theatre are very popular too. Don’t miss the Butterfly Garden & Insectarium. It’s located at 423 Canal Street near North Peters Street, in the Federal Customs House. Home to hundreds of free-flying, beautiful butterflies, it’s also quite educational, with a Bug Appétit exhibit that lets you taste culinary treats made with insects. Young children will love the hands-on, educational activities. They can scale a climbing wall, stand inside a giant bubble, make art, and “cook,” “serve” or be a “customer” at the Kid’s Cafe. Younger children can role-play in a pint-sized grocery store, Winn-Dixie, or enjoy making music. Additional exhibits include waterplay at the Port of New Orleans; Simple Machines, which gives kids the chance to experiment with pullies and ramps; as well as a new collaboration with the Historic New Orleans Collection (see below), which has installed a reproduction French Quarter courtyard where kids can hang out laundry, feed the animals, and work in a turn-of-the-century shop. Admission for tinies under-12-months is free; adults must accompany anyone under 16. Several programs, including video presentations and story hours are shown in the on-site theater. Wander the lush gardens and touch the drooping Spanish moss in City Park, then enjoy over 2,000 varieties of plants in the Botanical Gardens. Originally a project of the Works Progress Association during the Great Depression, it is one of the few remaining examples of public garden design from the Art Deco period. Events at the Botanical Gardens (closed Monday, kids under 5 free), including twilight concerts, educational programs, a big Voodoo Fest Halloween celebration and plant sales, go on regularly. A favorite space is the New Orleans Historic Train Garden where G-gauge streetcars and freight trains run through a model of the city’s neighborhoods and landmarks, while jazz plays. Older kids and families can join their Super Saturdays program as volunteer gardeners. Families in need of a break will appreciate City Park’s amusement park, playgrounds, boat rentals on a big lake, and a storyland. Morning Call, a restored cafe at the park’s entrance, serves a good beignet and cafe au lait. Don’t miss a walk through the New Orleans Museum of Art and Sculpture free sculpture garden (adjacent to the park; kids will enjoy seeing the huge artworks. Young children will love seeing a play performed by the Patchwork Players, an improvisational theater company run by Tulane University. Enjoy a silly presentation that will have the kids giggling the whole time. There is some audience participation, even with little tots! Older kids might enjoy the university’s low-cost summer Lyric Theatre or its Shakespeare Festival too. The shows only run from late May through mid-August, but this is a great activity to fill up a hot summer day. The repertoire includes Aladdin, Hansel & Gretel and Rumplestiltskin and five other plays. There’s not much of authentic New Orleans life left at Riverwalk Marketplace, the purpose-built mall along the Mississippi, but it’s a next to one of the busiest seaports. In addition to sightseeing cruises passing by outside, you can watch the activity of cruisers, freighters, and riverboats. Inside the Outlet Collection, the cute Home on the Bayou is a toddler play and rest area that may come in handly on hot summer days. Anyone with an appreciation for beautiful things will love the restored French Quarter’s southern homes in the Historic New Orleans Collection. Visit one of the HNOC buildings on the famous Royal Street to see temporary art, photography and music exhibits in the context of a historically accurate, restored home. The second floor of the Merieult House, ca 1792, houses the Louisiana History Galleries with a world-class collection of maps and documents. Be sure to visit the Williams Residence, an 18th century home that has been largely untouched since the 1940s, where Tennessee Williams wrote some stories. Children and parents will like the HNOC’s Concerts in the Courtyard, an outdoor concert series with local musicians and complimentary food and beverages. Since its designation by Congress as the nation’s WWII Museum in 2004, the New Orleans site has grown to include some of the most important artifacts of the 1940’s, as well as some of WWII’s most haunting images. Start with the overview and personal highlights (such as soldier’s uniforms, weapons, and diaries) at the entryway, the Louisiana Memorial Pavilion. Pause at the oral history stations to hear veterans speak while watching film footage related to their experiences, and you’ll get a huge amount out of the wing that was the original D-Day Museum. The newest permanent exhibit at the National WWII Museum is Arsenal of Democracy: The Herman and George Brown Salute to the Home Front upstairs, which recounts the story of the road to war and the Home Front, including the political discord of the prewar years, Pearl Harbor attacks, the massive mobilization in personnel and manufacturing, and the experience of ordinary Americans. Visitors will find nine immersive galleries, which re-create a newsstand, factory floor, 1940s home and more as the evocative backdrop for artifacts, digital interactives and personal narratives. Additionally, United but Unequal examines the terrible discrimination during the war and at home, with prejudice against many races who enlisted in defense of their country, as well as the Japanese Americans who were incarcerated on U.S. soil. If your family has a personal tie to the European battle, spend your time at the powerful European Theater: Road to Berlin Gallery. This multimedia extravaganza brings the Allies’ march from north Africa, through Italy and into France to life with vivid film clips, actual Howitzers and Army Jeeps, and an exhibit that envelops you in desert, snow, forest and mountain as you slog with the troops through changing battlegrounds. The newer Pacific Theatre is just as compelling for visitors with an interest in that war, but the more violent nature of that conflict is more suitable for older kids. There is a very kid-friendly exhibit of WWII era aircraft in the U.S. Freedom Pavilion: Boeing Center, where aerial walkways offer a vertigo-inducing view down into the cockpits of vintage planes. Bring along the grandparents to lead your own tour, or take advantage of the visiting vets and young docents who run weekend activities to engage children. Check out the retro Soda Shop or the Stage Door Canteen (a very fun, free movie plays there about celebrities’ role in the war effort with the USO). Both dining venues offer some of the musical style and spirit of the era. The American Sector, in contrast, has terrific New Orleans style cuisine in a room lined with monitors showing WWII movies. Each venue has special events you can book for the evening, too. In addition to all the video stations, you can rest your feet and get a terrific overview from the rousing film narrated by Tom Hanks — “Beyond All Boundaries” — playing at the Solomon Victory Theater and have a thrill at Final Mission, a virtual submarine experience. The latter activities cost an extra $5 each, but we suggest you purchase a second day ticket for only $6 anyway — you’re going to need it with so much to see. The Memorial Hall, located in the Arts District opposite the WWII Museum, is the oldest museum in Louisiana and has the second largest collection of Confederate memorabilia from the Civil War period in the US. All members of the family are sure to find something that interests them in the thousands of Confederate artifacts. Popular attractions include Confederate soldier uniforms, personal belongings, guns and swords, battle flags, paintings, and photographs. Be sure to see exhibits about Confederate President, Jefferson Davis, who was placed at Memorial Hall after his death for one and a half days, when more than 60,000 people came to pay their respects. For a fun-filled experience, take a Phantom Tour through historic New Orleans by day or night. Discussing the funky streets and residences of Treme, the French Quarter, and the St. Louis Cemetery, well-trained guides offer themed tours based on crime, music, hauntings, New Orleans scandals, and more. But a visit to New Orleans would not be complete without a true ghost tour. Since its founding, New Orleans has suffered numerous incidents of disease, mayhem, destruction, and death, and it seems that almost every building has its own haunting story. Learn where the expressions “Saved by the bell” and “Dead Ringer” come from! If your family enjoys thrills, take in either the “Ghosts & Vampires” or the “Saints & Sinners” tours (adults only on this one) and see who can spot the living dead. Each tour leaves from a different location, so check the company’s website for details. Reservations are required for all tours. Besides being the home of the New Orleans Saints football team, and the Tulane Green Wave, the iconic Superdome is the largest fixed dome structure in the world. It has hosted Pope John Paul II, the 1988 Republican National Convention, and the Rolling Stones in the world’s largest indoor concert ever. It cost $336 million to repair the Dome after Hurricane Katrina, when building renovations included 192-foot windows, sound systems, scoreboards, additional seating and elevators, expansion of the concourse and the addition of a pedestrian mall. Stop by the Dome with your family to see the massive building or catch one of the many concerts and shows: car and boat shows, house exhibits, and the Sugarbowl are just a few annual events that your family can experience. The American South knows food — and New Orleans knows cocktails — and if the family really wants to get into understanding this unique culinary experience, SoFAB is the place to be. Recently opened at this new location, SoFAB’s mission is for visitors to discover, understand and celebrate the culture of Southern food, and the unique people and ethnicities that have helped create it over the centuries, including African-Americans, Caribbeans, French and Germans. The museum hosts exhibits, demonstrations, lectures and tastings, celebrating chefs and home cooks. There is exhibition space dedicated to children’s activities and healty eating, and programs with the museum’s Kids Ambassador. Look for cooking classes, demonsrations and a community kitchen space at the Culinary Innovation Center. Spanning 6-miles east to west from Canal Street to Audubon Park, Magazine Street is a shopper’s paradise. Boasting unique antique shops, delicious restaurants and interesting people, the street has it all. It’s great for a family stroll (or get a one-day unlimited bus pass), but make sure mom and dad watch their wallets. For yummy treats stop by Blue Frog Chocolates at 5707 for fine domestic and imported chocolates, and to sample some of NOLA’s signature treats, head to Mahony’s Po-boy Shop at 3454. Kids will love to visit the stores that have things just for them. Check out Orient Expressed at 3905 for cool kids clothes, Zuka Baby, a natural parenting boutique, and Magic Box , Ltd, a specialty toy store, is at 5508. Adults will like Fleur d’ Orleans at 3701A which features unique gifts designed with inspiration from New Orleans. And after a long day of shopping, hit Joey K’s Restaurant, a neighborhood eatery that has Creole pot cooking and fried seafood. The oldest and most famous neighborhood in New Orleans, the French Quarter was first settled in 1718. Now a National Historic Landmark, the 78-square-block section of NOLA is a great place to spend the afternoon. Stroll down famous Bourbon Street, named for the French royalty and not the liquor, until saloons began opening up there in the 1870s. This strip, known for its crazy Mardi Gras parties and drinking establishments, has beautiful architecture that shouldn’t be missed. Spend some time in Jackson Square, a park in the center of the French Quarter where you’ll often see live music, and drop into the St. Louis Cathedral, the oldest continually open cathedral in the US. The Cabildo, Colonial New Orleans’ old city hall, is the site of the official signing of the Louisiana Purchase. Along with the Presbytere (site of a fascinating exhibit about Hurricane Katrina) and some nearby historic homes and other sites in the state, it is part of the Louisiana State Museum. Closed Monday and state holidays; admission is nominal at each site and kids 12 and under are free. The former Jax Brewery is now a shopping complex. Nearby, you can watch pralines being handmade from fresh pecans at Sally’s Pralines. Finally, after a carriage ride through the French Quarter, stop by Café du Monde for some famous tasty beignets. Even though tourists line up waiting to be seated on their patio, locals know to walk right in, grab a table and ask the waiters to bring it on. Audubon Park, in the Uptown neighborhood, is a peaceful oasis where playgrounds, lagoons, golf and tennis facilities, and a running/walking path are available to visitors. There are stables and a public pool, as well as three large playgrounds where the kids are bound to make new friends. Within the park is one of the top ranked zoos in the U.S, the flagship of the Audubon Nature Institute with animals from all over the world. Within the Audubon Zoo, the whole family can go back in time with animatronic creatures at Dinosaur Adventure, ride the Endangered Species Carousel, meet a white tiger, an endangered whooping crane, and visit unique habitats such as the Louisiana Swamp and the Jaguar Jungle. The Watoto Walk petting zoo is themed like an African village and will keep little ones happy all day. Older kids will appreciate the challenging 44-foot-high Kamba Ropes Course. Everyone will love Cool Zoo, a separate, kid-focused part of the zoo with a Splash Park with slides and squirters, and Gator Run, a great new lazy river and sandy beach play area with chaises, lifeguards and the smell of sunblock. We’re excited to hear about the zoo’s expansion of its Elephant Habitat, which will become a glass-walled, interactive area near the waterpark where visitors can spray water on elephants and elephants can spray visitors! Note that several of the attractions require separate admission. Located in the heart of New Orleans, in the French Quarter, is this renowned, multi-faceted music venue — operating as a performance center, a record label, and a band. The building dates to 1750, but was opened as a music venue in 1961 for the purpose of honoring and preserving New Orlean’s jazz heritage. The Hall’s namesake Preservation Hall Jazz Band performs all around the world, introducing others to the jazz of New Orleans. Open seven days a week with three shows nightly, the Hall welcomes all ages to enjoy a casual jazz performance by artists young and old (some into their 70’s and 80’s) at prices from $30. Providing a spartan, smoke-free environment, Preservation Hall offers families an enjoyable cultural experience in under an hour. Note, however, there is no air-conditioning, and no refreshments are provided, so be sure to grab some dinner before settling in for a night of jazz. Tickets may be purchased only at the door; fun for kids, too. Also known as the American Bicycle Rental Company because they rent bikes by the hour, the family-owned and operated FreeWheelin puts on a great ride through a very flat city. New, fat tire bikes and helmets (some smaller bikes available but tours are geared to ages 12+ only) led by guides from the Bergeron family go out in groups of 12 to see the neighborhoods and life beyond the French Quarter. Our guide, Aunt Laura, was outstanding in her knowledge of the city, her candor about its faults, and her passion for living there. A must with tweens and older family members. Almost a decade has passed since Hurricane Katrina, but visitors are still fascinated by this storm which caused legendary flooding. Gray Line Tours offers an up-close look into the destruction left behind, as well as recovery efforts, the Army Corps of Engineers’ work, and ongoing environmental efforts. Stops include a breached levee and several neighborhoods, such as the Ninth Ward. Within the city itself, families can take the City Sightseeing New Orleans Hop On-Hop Off bus tour, and get off at stops to walk into the French Quarter or visit a museum. Much of the region’s bayou life shifted in relation to the flood waters stirred by Katrina, which deposited a new mix of salt and fresh water along the canals. At Air Boat Tours — so noisy that all the passengers must wear headphones like they do in the Everglades — the warm breeze generated by our 30mph view of the swamps was welcome but we saw little wildlife. Of the many swamp tour operators, check out the highly regarded Pearl River Ecotours, who guide visitors through the Honey Island Swamp area in search of alligators. It’s about a half-hour drive outside the city, so you’ll want a rental car. In the past Mardi Gras was an annual tradition celebrated only in February, but now you can experience the fun of Carnival any day of the year at Mardi Gras World. Operated by Blaine Kern Studios, one of the premiere sculpture and float designers for the annual parades down Bourbon Street since 1947, Mardi Gras World invites guest to walk among the glamorous costumes and floats of this cultural event. Guests will witness the masters of sculpture and float design who make the parade a visual masterpiece and each year more outlandish than the last. Mardi Gras World is open 7 days a week and hour-long tours are given every 30 minutes. Jazz, a combination of blues, gospel and ragtime genres mixed with improvisation, was born in New Orleans. And at this National Park’s visitor’s center, families have the perfect home base to explore the art form in its birthplace. There are Ranger-led demonstrations, walks and video documentaries. Groups can even take a self-guided audio tour of the surrounding area to learn more about jazz history. (Maps and the downloadable audio file are available online). And the best part: free live jazz performances five days a week (check the website for official schedule). Kids will also love the music workshop led by the Storyville Stomper Brass Band. Plus, they even have the opportunity to become JAZZ Junior Rangers during their visit.